Our Mission: Raise awareness of the various types of abuse young women are subjected to, the devastating effects of violence, neglect, and abandonment, and the available resources for girls who need help. 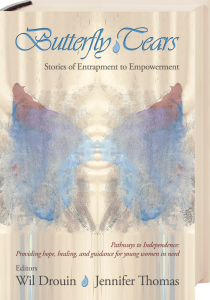 Butterfly Tears supports Pathways by donating the book proceeds to the foundation. Every other month, all sales from our online store will sustain the Give a Girl a Smile campaign, funding supplies and lab work for Pathways clients like Mimi, who require extensive orthodontic care to restore their smiles and self-esteem. Learn more.